Stay where the surfing stars choose to stay! And wake up to the best surfing view ever! Self-catering luxury hanging over the infamous supertubes and looking all the way down to Albatross. The view from JBay SurfView, down over the entire sweep of the Jeffrey’s Bay runway, gives you an elevated understanding of this legendary strip of rock. Starting at Boneyards, you can see the good guys taking off and charging that top barrel section and into the superfluous Supers racetrack. Screaming past the carpark, the gulley and into Impossibles, the wave stills rears. Coins turns into Salad Bowls which turns into Tubes and then finally Point…and beyond. What a wave, what a view! 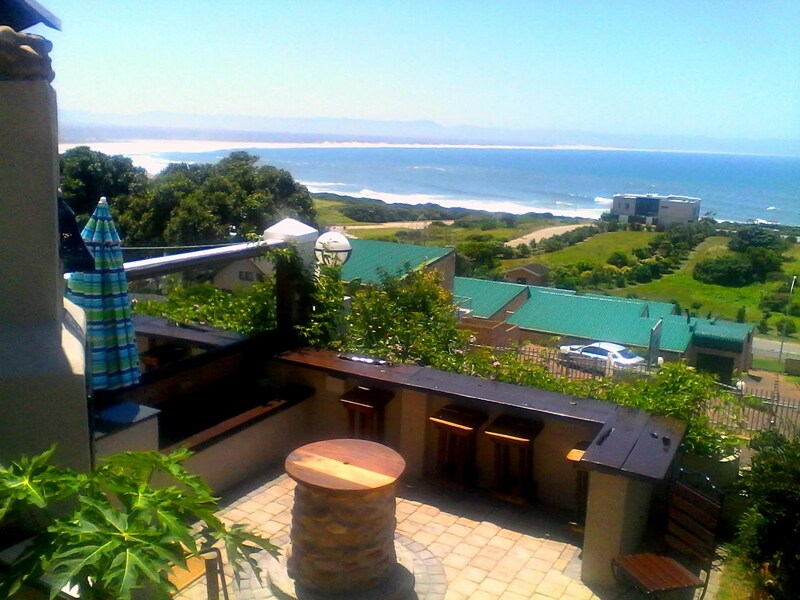 The Braai / Barbecue hangout: JBay SurfView is a short warm up from the jump at Salad Bowls or The Point. 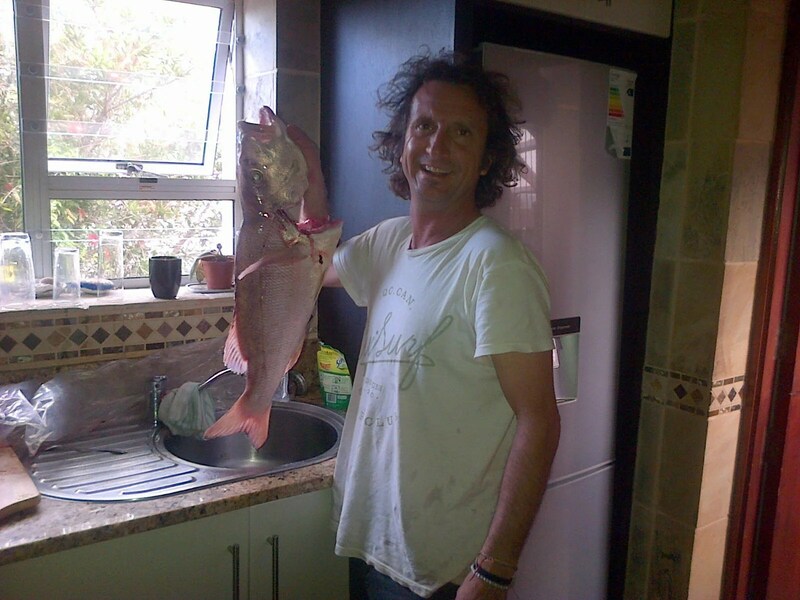 Fishing is really good down at Kabeljauws in the distance. 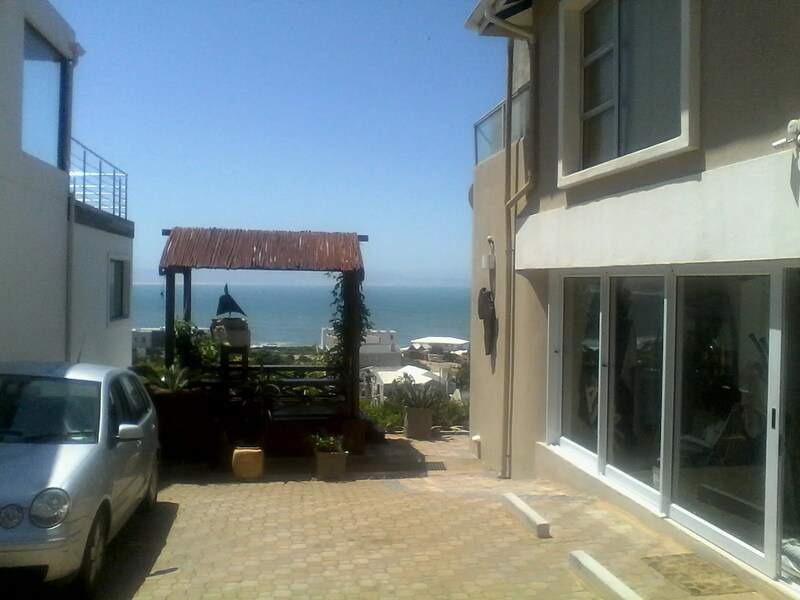 Dr. Kurt Mariano has built JBay SurfView into the all-time spot to stay in Jeffreys Bay. Towering over the point, you can observe the comings and goings of swells and people – it gives you the advantage, of running down the hill and jumping in as soon as you see the crowds thin out (does happen!). The wave viewing deck is oft populated by locals checking the surf – a great place to meet and greet and make friends with the unfriendly! Dr. Kurt Mariano is a water born dude from Hawaii, who has chosen the consistency and perfection of Supertubes as his home. He can show you the ins and outs, do’s and don’ts, from his decade of being in J-Bay, and if necessary can hook you up with a surf instructor or advanced surfing tutor from around Jbay. Dr. Kurt is a world renowned chiropractor specialising in surfers and can arrange all sorts of muscular tune-ups and workouts for you, during your stay. Red Steenbraas for dinner tonight! Self catering well equipped kitchenettes and kitchens. Kitchens are well equipped for storm cooking, and can be serviced if need be. You can have your washing done, and a meal cooked if you need. There is wi-fi, and tv’s are rigged up all over the place, mainly showing surfing flicks though. Braai/barbecue areas with cracker views are where you will spend your relaxing time. Walking gets you to all flavours of shops and restaurants – health bars and even some real bars. There are two shopping centres on the way to the beach, you can get things done around here just fine. Supplies aplenty. JBay SurfView has three luxury apartments for rent…fill out the enquiry form below, to stand a chance at staying at this custom built surfer hangout. We will get back to you within 12-24 hours, if not immediate. Rates vary and are reasonable, starting at R950 for a 2 sleeper. If you are in a group, we can get together about 8 beds altogether.